In the latest rhythmic action-adventure from Brace Yourself Games, you can enjoy the gameplay of Crypt of the NecroDancer in the setting of The Legend of Zelda series. Keep the beat and keep Hyrule from meeting certain doom when Cadence of Hyrule - Crypt of the NecroDancer Featuring The Legend of Zelda arrives this spring. 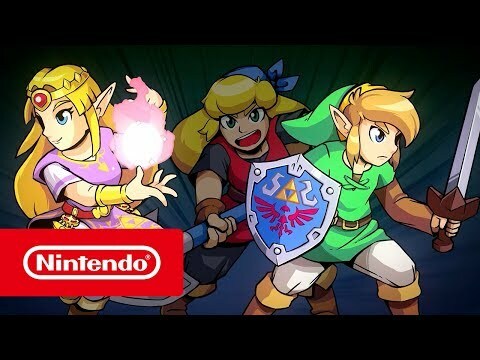 The upcoming Cadence of Hyrule - Crypt of the NecroDancer Switch release date is Q4 2019 in the US and the UK. Notify me when Cadence of Hyrule - Crypt of the NecroDancer is available.